Front and back of each divider has a slash pocket for quick insertion of loose sheets. 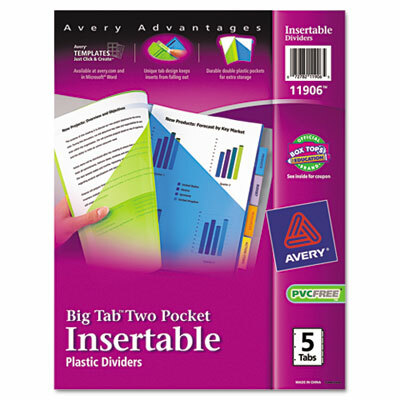 Bigger tabs and inserts provide 50% more printing space. Special design keeps tab inserts secure yet easy to remove. Front and back of each divider has a slash pocket for quick insertion of loose sheets. Three-hole punched for use in standard ring binders. Laser and inkjet printer compatible.